Note: Notify Me We do not currently have an estimate of when this product will be back in stock. 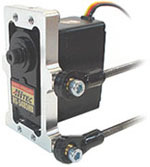 This servo plate allows you to mount your standard-sized servo inside Actobotics channels. 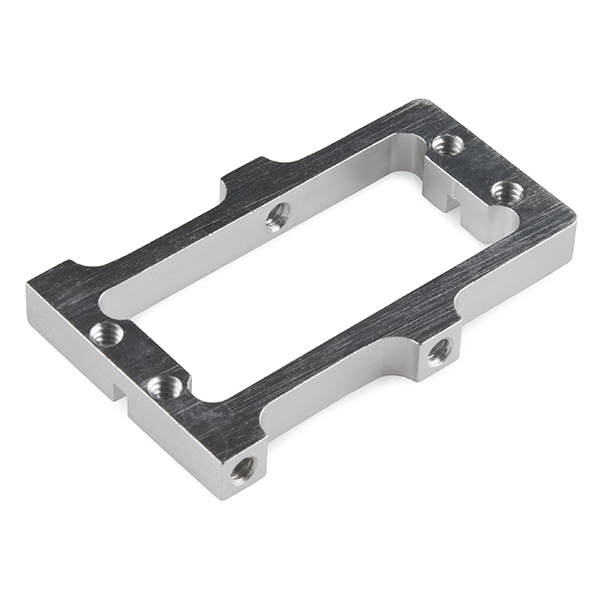 The bracket has 4 6-32 tapped holes for attaching your servo and several additional tapped holes for connecting it to a channel, either on the end, or the inside. How to crack an unknown safe in under an hour. How to use the SparkFun Continuous Rotation Servo Trigger with continuous rotation servos, without any programming! You can't beat what a CNC mill turns out but you can't rely on the rest of the world. This part fits in their machined channels perfectly but the servo mounting ears may not be perfect. In order to use this part mounted in one of their channels I had to file off just short of 1/16" of the servo ears facing the channel. Great parts though and I will be using this type material more as I move on.